One of the most powerful ways to connect with the angels. Angels are inner companions. they help us look at the world in ways that infuse our lives with vitality and assist us to experience the deepest levels of understanding, creativity, and caring. Each Angel card quality evokes your intuitive abilities and renews your spiritual connection. 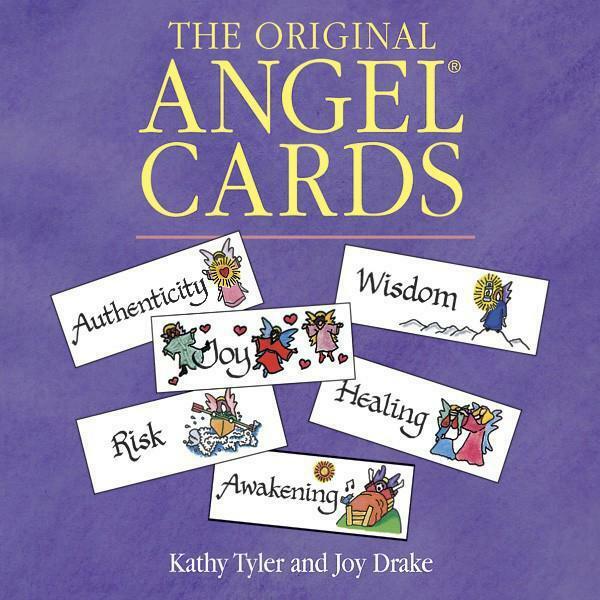 Created by Kathy Tyler and Joy Drake, the Angel Cards are an international best-seller--over 1.3 million sold in 6 languages. The Silver Anniversary Expanded Edition includes: 20 new cards, 20 bonus stickers of the new qualitites, pocket-size carrying case, and sturdy, flip-top box for selecting and storing cards.